The team won all three matches during the second qualifying round in Uzbekistan to move to the third round, which is set to be held early next year. 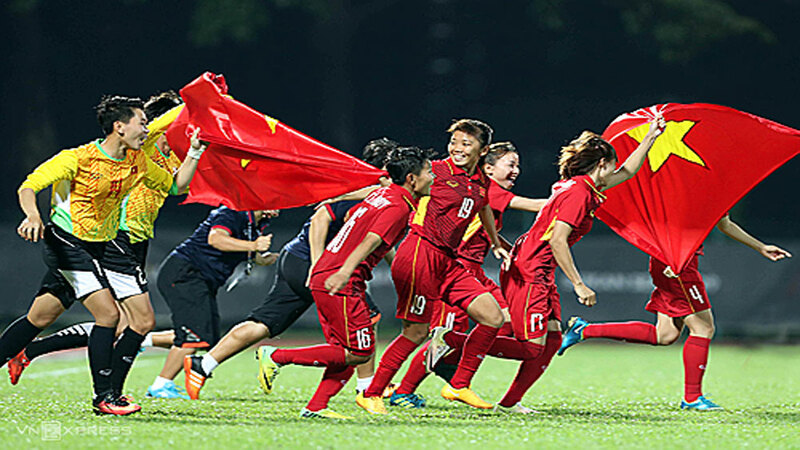 The Vietnamese women’s football team have received a bonus of 800 million VND (34,500 USD) from the Vietnam Football Federation (VFF). After returning to Vietnam, head coach Mai Duc Chung and players Nguyen Thi Tuyet Ngan, Nguyen Thi Truc Huong and Tran Thi Ngoc Anh, who competed in the Olympic qualifiers, will travel with the U19 national team to prepare for the second qualifying round of the AFC U19 Championship 2019 later this month. Coach Park Hang-seo has appointed midfielder Nguyen Quang Hai to lead the national men’s U23 team at the AFC qualification tournament later this month. Van Lam, Xuan Truong, Cong Phuong, and Trong Hoang have been valued as the Vietnamese footballers with the highest estimated transfer value, according to sporting website Transfer market. The Vietnamese Embassy in Japan on February 24 held a press conference on and drew groups for a new football championship connecting Vietnamese firms in the country, held by the Football Association of Vietnamese in Japan (FAVIJA).